Capital market regulator Securities and Exchange Board of India (SEBI) has approved sweeping changes to the corporate governance framework for listed companies. The new measures are based on recommendations made by a 25 members committee headed by Mr. Uday Kotak, Executive Vice Chairman and Managing Director of Kotak Mahindra Bank. The Kotak Committee was formed on June 02, 2017 with the aim of improving standards of Corporate Governance of listed companies in India. The Kotak Committee submitted its report to the Securities and Exchange Board of India (SEBI) on October 05, 2017 wherein the Committee provided 80 recommendations to improve the Corporate Governance Standards. Some of the proposals faced oppositions from industry and other regulators. The Securities and Exchange Board of India (SEBI) had to take all stakeholders on board to ensure implementation of the measures suggested the Committee. As a result, the market regulator couldn’t implement all the 80 recommendations and has accepted 40 recommendations without any modifications; 15 with modifications; 18 were rejected and eight have been referred to other agencies. 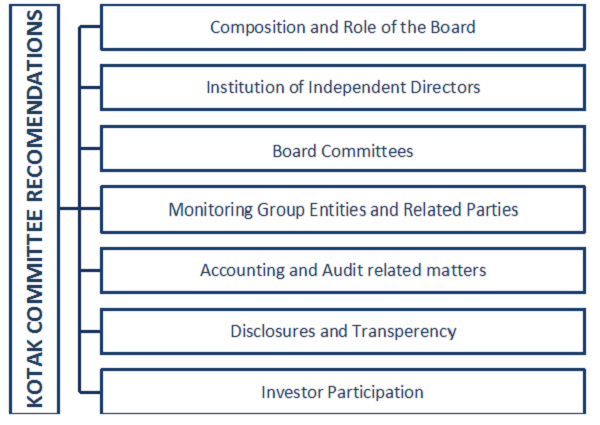 The Board of Directors of every listed entities shall require to list out the competencies/expertise that it believes that its directors shall possess and actually possess and disclose competencies of its Board Members against every identified competency/expertise without disclosing names in the Annual Report for financial year ending March 31, 2019 and detailed disclosures along with the names of Directors with effect from March 31, 2020. Nomination and Remuneration Committee (NRC)shall recommend all payments made to senior management to the Board of Directors. The constitution of Risk Management Committee (RMC) shall be applicable to top 500 listed entities and the role of Risk Management Committee (RMC) shall specifically include Cyber Security which shall be applicable from April 01, 2019. Nomination and Remuneration Committee (NRC), Stakeholders Relationship Committee (SRC) and Risk Management Committee (RMC)shall require to necessarily meet at least once in a year. Disclosures on the entity’s website shall be in user friendly searchable format and disclosure to the Stock Exchanges shall be in XBRL (Extensible Business Reporting Language) Format. Thus, the approved changes to corporate governance norms are aimed towards aligning corporate governance standards to global best practices. Most of the approved recommendations are firmly rooted in local business realities, where most listed entities are promoter-led as opposed to being professionally managed, thus increasing risks of promoter-raj at the cost of minority shareholders. 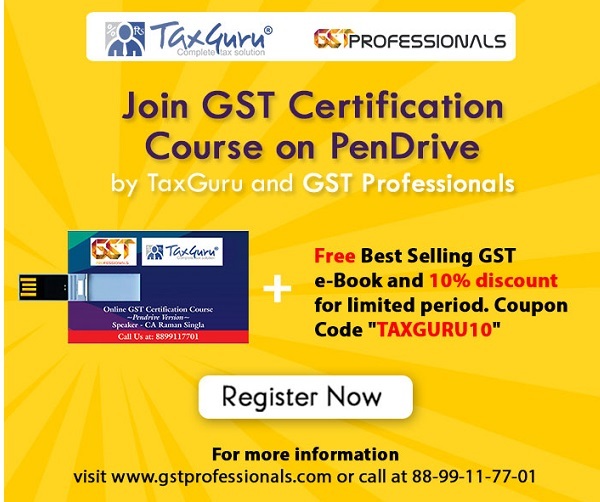 To conclude, while there may exist certain issues and glitches, such as the fact that various recommendations of the Kotak Committee which have been approved have been made applicable to top companies in terms of market capitalization, precluding smaller listed entities from such compliance requirements even though it is usually some of the smaller listed entities wherein corporate governance standards are found to be wanting, the approved recommendations are indeed welcome and are expected to extol corporate India to a leadership position with regards to corporate governance. 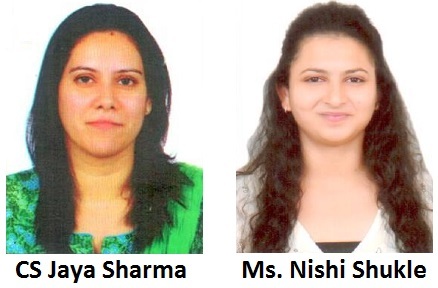 Contributed By: CS Jaya Sharma, Ms. Nishi Shukle, Jaya Sharma and Associates, Practicing Company Secretary Firm, Mumbai.